Jeff Hubbard is a native of Jackson, Mississippi, and graduated from the University of Mississippi with a degree in Finance in 1980 and the Ole Miss Law School in 1983. Jeff has over thirty years of experience litigating cases involving mass torts, product liability, wrongful death, as well as other complex or catastrophic injury cases in a number of jurisdictions and states. He has served as national, regional, and local counsel for a variety of companies. 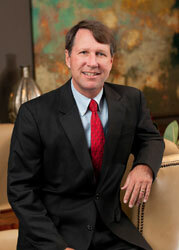 Jeff was a partner in the former firm of Wells, Moore, Simmons & Hubbard until 2011.